When you first hear it, the idea that light could have mass might seem ridiculous, but if it doesn’t have mass, why is light affected by gravity? How could something without mass be said to have momentum? These two facts about light and the “particles of light” called photons might make you think twice. It is true that photons don’t have inertial mass or relativistic mass, but there is more to the story than just that basic answer. Photons have no inertial mass and no relativistic mass. Experiments have demonstrated that photons do have momentum, though. Special relativity explains this effect theoretically. Gravity affects photons in a way similar to how it affects matter. Newton’s theory of gravity would forbid this, but experimental results confirming it add strong support for Einstein’s theory of general relativity. Inertial mass is the mass as defined by Newton’s second law: a = F / m. You can think of this as the object’s resistance to acceleration when a force is applied. Photons have no such resistance and travel at the fastest speed possible through space – about 300,000 kilometers per second. 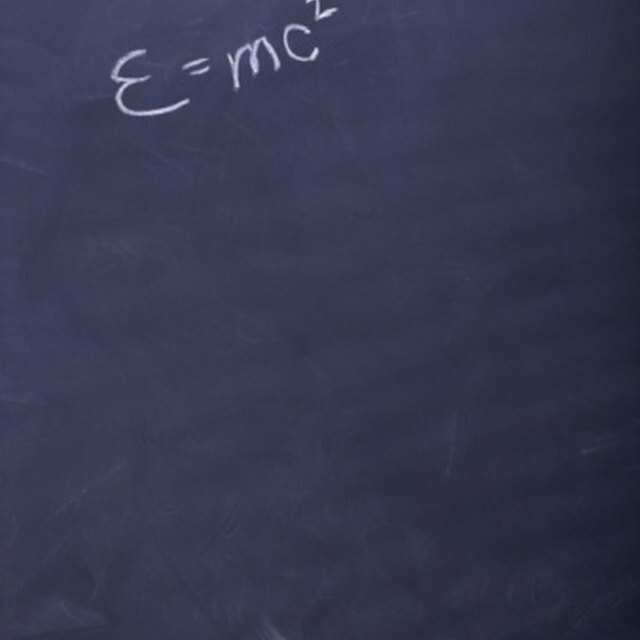 According to Einstein’s theory of special relativity, any object with rest mass gains relativistic mass as it increases in momentum, and if something were to reach the speed of light, it would have infinite mass. So, do photons have infinite mass because they travel at the speed of light? Since they never come to rest, it makes sense that they couldn’t be considered to have rest mass. Without a rest mass, it can’t be increased like other relativistic masses, and this is why light is capable of traveling so quickly. This produces a consistent set of physical laws that agree with experiments, so photons have no relativistic mass and no inertial mass. The equation p = mv defines classical momentum, where p is momentum, m is mass and v is speed. This leads to the assumption that photons can’t have momentum because they don’t have mass. However, results such as the famous Compton Scattering experiments show that they do have momentum, as confusing as that seems. If you shoot photons at an electron, they scatter from the electrons and lose energy in a way consistent with the conservation of momentum. This was one of the key pieces of evidence scientists used to settle the dispute as to whether light behaved like a particle as well as a wave sometimes. This shows that higher-energy photons have more momentum, as you would expect. Gravity alters the course of light in the same way it alters the course of ordinary matter. In Newton’s theory of gravity, the force only affected things with inertial mass, but general relativity is different. Matter warps spacetime, which means that things traveling in straight lines take different paths in the presence of curved spacetime. This affects matter, but it also affects photons. When scientists observed this effect, it became a key piece of evidence that Einstein’s theory was correct. University of California: What Is the Mass of a Photon? University of California: What Is Relativistic Mass? Johnson, Lee. "Do Photons Have Mass?" Sciencing, https://sciencing.com/do-photons-have-mass-13710229.html. 14 March 2018.